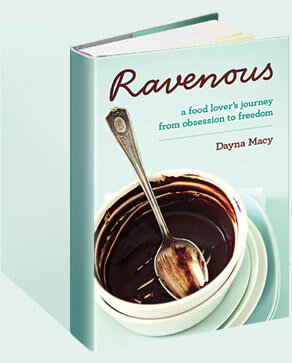 2015 March — Dayna Macy, author of "Ravenous"
…I love making it, smelling it, tasting it, serving it, and sharing it…soup is nourishing and healing. In this in-between season, when it’s not fully Spring nor Winter, beans are a great choice. And beans love to cozy up to sherry where they create something greater than the sum of their parts. 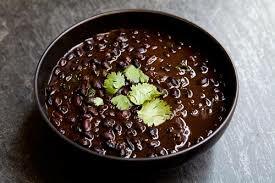 Place beans in a heavy pot with two quarts of water, and bring to a boil. Turn heat to low and cook for an hour. Drain the beans and set them aside. Rinse the pot. If using pancetta, heat 1 Tbs. olive oil in large pot over medium-high heat and cook the pancetta for 7-9 minutes, or until cooked through and crispy. Remove pancetta with slotted spoon. Leave two tablespoons of fat in the pot and discard the rest. Add carrots, onions, celery, garlic, and thyme. Cook for about 5 minutes, or until the vegetables begin to soften. Add the beans and 8 cups of water. Bring to a boil then cook, covered, on low heat for three to four hours. If using pancetta, return the pancetta to the pot. Puree if you prefer a smooth soup. Add sherry and stir. Salt and pepper to taste.